September is National Grandparents Month, and I’m overwhelmed once more thinking how much my parents have done for my family, particularly my 15-year-old daughter with autism. My mother flew from California to join us for Paige’s neurology appointment in the spring of 2000, the horrible one during which she received the definitive autism diagnosis. A year later, my parents moved here from the Silicon Valley to support us. Five years after that, when I gave birth to Paige’s baby brother, my mom came over every school morning before 7 a.m. to watch Chip so I could get Paige off to school. My dad’s no slacker, either. He’s provided boundless financial and emotional support—neither of which I can imagine doing without. He has bonded with our neurotypical son, Chip, to the extent that they have LEGO playdates, go see movies together and just talk. All grandparents who choose to involve themselves (in a thoughtful, encouraging way) in the lives of their children’s kids deserve high praise. It can be tricky sometimes with a disabled child, especially one like my own who is non-verbal. In honor of National Grandparents Month, Autism Speaks (the nationwide nonprofit founded by grandparents of a child with autism) has created A Grandparent’s Guide to Autism. This family support tool kit is designed to help guide and encourage grandparents to establish positive and successful relationships with their grandchildren and the rest of their families. 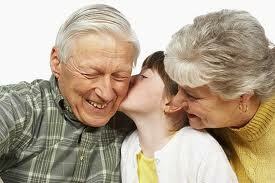 Click here to read A Grandparent’s Guide to Autism or visit Grandparents Autism Network at www.ganinfo.org. To understand my complete and utter delight at how this summer is shaping up, you need the backstory on Summer 2010—the single most difficult season I have ever endured. We’d just come off a dreadful year of junior high, which my now-15-year-old daughter with autism plainly loathed. Another student had bitten her four times; my husband and I had lost confidence in the staff, both their teaching skills and their ability to shield our daughter from harm; what’s more, Paige refused to go to school and, physically, I couldn’t make her. So in June 2010, I simultaneously pulled in and reached out. Pulling in for me translates into limited social contact and lots of “head time,” where I mull different possibilities of what to do, help to see and paths to take. (“Head time” gets very noisy, as you might imagine!) Reaching out meant seeking input from my contacts in the DFW autism community, several of whom held my hand through the often-convoluted process of securing school-based and publically funded services. Laid bare our situation to strangers. My personal goal for this summer is to live in the moment—to enjoy the fun times and learn from the tough ones. Also, I plan to remain mindful and grateful for how far we’ve come as a family from a year ago. Here’s hoping your summer is fabulous, too! Around Mother’s Day, I came across the piece via a Facebook friend’s post. Boy, did the arrow hit its mark! But, you know, I think this may apply to most any mom, not just those of us with children on the Autism Spectrum. What I took from the writings of Lisa Barrett Mann, Kansas-based therapist and author, is confirmation that I’m doing two things right: I have respite care (which gives me time alone or time alone with my husband for a couple of hours each week) and a great support system of friends, Paige’s teachers and more. • Avoidance of social interaction? • Disregard for personal appearance and social niceties? I’m not talking about your child with Asperger’s or autism. I’m talking about you. And me. And a common occurrence I’m calling MASK (Mothers of Autism Spectrum Kids) Syndrome. It occurs when a mom spends so much of her waking life focusing on her child’s special needs and fighting for his interests that, somewhere along the way, she starts to lose touch with the person she used to be. How ironic it is that, in fighting autism, many of us start to become a little more autistic ourselves. Irritability. Are you suffering from lack of sleep? Worried about your child’s future? Worried about your family’s finances? Ever find yourself snapping at your kids for interrupting you, then feeling guilty afterwards for discouraging this social interaction? Hyper-vigilance. Do you scan each room you enter for things that might set off a meltdown in your child, such as unusual smells or loud noises? Do you find yourself doing so even when he isn’t with you? For that matter, after avoiding those things for so long, do you find that they now irritate you, too? Avoidance of social interaction. Do you choose the self-serve lane at the supermarket and the ATM at the bank because doing things by yourself is just easier? Do you keep meaning to pick up the phone and call a friend, but find yourself too busy or distracted? Disregard for personal appearance and social niceties. Have the cute hairdos and perky outfits been replaced by ponytails and sweats? Do you ever find yourself so rushed and distracted that it’s just annoying when a cashier or neighbor tries to make chitchat with you about the weather? If you answered “yes” to several of these questions, you too may be suffering from MASK Syndrome. While there’s no known cure for MASK Syndrome, there ARE interventions that can lessen the symptoms and help moms to live happier, more satisfying lives. And by implementing these interventions, you’ll be setting a great example for your kids by giving priority to social interaction and other activities you need to maintain your health and well-being. In his new book Staying in the Game: Providing Social Opportunities for Children and Adolescents with Autism Spectrum Disorders and Other Developmental Disabilities, psychologist Jim Loomis emphasizes that children on the spectrum need lots of social interaction built into their daily lives – a variety of social opportunities where they can successfully practice and generalize their interpersonal skills. 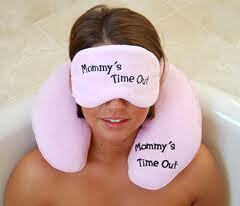 I submit that moms need at least as much social interaction – to maintain our social skills and our mental health. Let’s take Jim’s itinerary for kids with autism spectrum disorders (ASDs) and translate it into something that makes sense for moms with MASK. One play date every other week. The great thing about play dates for moms is that you don’t have to referee them – you just have to find time for them! Sit down with your calendar, get on the phone, and schedule time to spend with friends, at least every couple of weeks. It doesn’t have to be anything elaborate. Go together for manicures or a trip to Target, followed by lattés, while Dad watches the kids. But make sure you schedule in play dates with Dad occasionally, too. If you can’t find a sitter, trade off watching the kids with another couple who has a child on the spectrum – most, I’ve found, are happy to make such a deal. Membership in two clubs or organizations. If you don’t already belong to a group for parents of kids with ASDs, you’re missing out on great social and emotional support. But also remember that you had interests before you became a harried mom. Whether it’s decorating or reading murder mysteries, we all need some sort of pleasant diversion, and friendly folks to share it with. If you’re able to join a local support group and club, great! But if not, there is a plethora of online discussion groups about just about any interest you can imagine. A quick search on groups.yahoo.com is often all you need to get started. If you feel guilty about the idea of trying to plan time and activities apart from your kids, don’t! How can we teach our kids that socialization is important, healthy, and worthwhile, if we hardly ever take time for it ourselves? So get pick up the phone and plan time for some fun with a friend. If you won’t do it for yourself, do it for your child. P.S. While MASK Syndrome to date has been found to be most prevalent among Moms, many dads are susceptible to similar syndromes. So, Dads, don’t feel left out, but take heed. Lisa Barrett Mann, M.S.Ed., has a private practice in Overland Park, KS, focusing on social skills training and cognitive-behavioral interventions for children and teens with ASDs (www.AspergersInterventions.com). She is also the mother of a 13-year-old with AS and the author of More Than Little Professors: Children with Asperger Syndrome: In Their Own Words. Summer Fun for ASD Kids! Summer scares me. With good reason. Last summer ranks as one of the most difficult for Paige, my now-15-year-old daughter with autism. She was restless, moody, and generally miserable. As her mother, I was restless, moody, and generally miserable, too! Our tough season had many benefits—not the least of which was that we pushed for her to qualify for Medicaid (which she did) and funds for respite care (another yes). We also switched schools, one of the few decisions I’ve made as a mom that has no down sides. It’s all good! Seriously!! If you’re dreading the summer with your special-needs kid, consider reaching out to your local Easter Seals or school district for a list of camps and activities in your area. Your kid probably could do with a dose of stimulation—and you need the break. 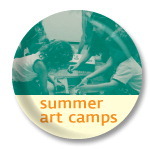 Summer Art Camp for Children with Autism at the DMA – reduced price and expanded age range! Due to the high number of adults who are interested in helping with the camp, we have decided to expand the camp’s age range from ages 9-12 to ages 7-12 since each child will be able to have more personal attention. 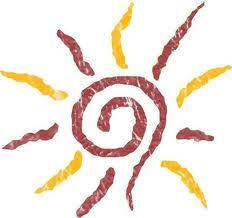 The summer art camp is specifically designed for children on the Autism Spectrum. Stacey Callaway, the autism specialist that we work with to develop Autism Awareness Family Celebrations, and I will co-teach the camp for children ages 7-12. The camp is a four day camp and will explore works of art in the Museum’s collection, integrate multisensory experiences, and have a wide-range of materials in the studio for art-making. We will have several specially-trained volunteers on hand to assist with the camp. Interact with works of art in the galleries, engage in a variety of hands-on experiences, and explore art processes to create a masterpiece in the studio during this four-day camp designed specifically for children with autism spectrum disorders. Taught collaboratively with an autism specialist and Museum staff, this camp will offer various media experiences and will focus on themes in works of art from many cultures. Visual picture schedules will be used to integrate art, music, social interaction, sensory exploration, and movement. Please note this is a four day camp. Cost: Members was $140, now $100! Nonmembers was $152, now $112! Monday–Thursday, June 20–23, 1:00–4:00 p.m.
Pre-registration for the event is required. For more info, visit www.dm-art.org. Check out the link below for the story of Carol Daley, warrior mom of an autistic child. 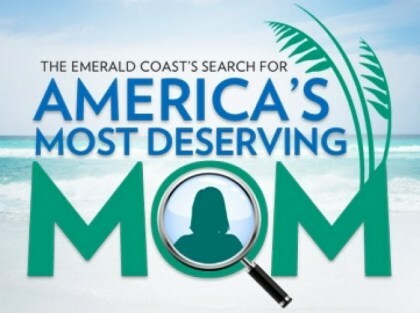 She just won big for being a tireless advocate for her son’s health! Founded in 1967 by Dr. Bernard Rimland, ARI conducts and fosters scientific research designed to improve the methods of diagnosing, treating, and preventing autism. ARI also disseminates research findings to parents and others worldwide seeking help. One of ARI’s primary projects, DAN! conferences share information and ideas toward defeating autism as quickly as possible. ASA exists to improve the lives of all affected by autism. They do this by increasing public awareness about the day-to-day issues faced by people on the spectrum, advocating for appropriate services for individuals across the lifespan, and providing the latest information regarding treatment, education, research and advocacy. A project of the Autism Research Institute, DAN! meetings bring together physicians and scientists from around the world to develop advanced methods of diagnosis and treatment. DAN! Conferences and practitioner trainings are held twice a year. Families for Early Autism Treatment (FEAT) or www.featnt.org/home.php. FEAT is a non-profit organization of parents, educators, and other professionals dedicated to providing Education, Advocacy and Support for the North Texas autism community. First Signs is dedicated to the early identification and intervention of children with developmental delays and disorders. The organization provides a wealth of resources ranging from healthy development to concerns about a child: from the screening and referral process, to treatments for autism spectrum disorders. Their stated goal is to improve screening and referral practices and to lower the age at which young children are identified with autism and other developmental disorders. Generation Rescue was formed in 2005 by parents of children who have been diagnosed with childhood neurological disorders including autism, ADHD and other learning disabilities. Their belief is that most of these conditions are environmental illnesses that can be treated through biomedical intervention. NAA’s mission is to educate and empower families affected by autism and other neurological disorders, while advocating on behalf of those who cannot fight for their own rights. They aim to educate society that autism is not a lifelong incurable genetic disorder but one that is biomedically definable and treatable. Their efforts include raising public and professional awareness of environmental toxins as causative factors in neurological damage that often results in an autism or related diagnosis. OAR was created in 2001 by parents and grandparents who shared a common belief that applied research would answer the questions that parents, families, individuals with autism, teachers and caregivers confront daily. No other autism organization has this singular focus. 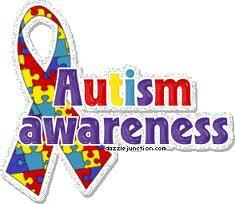 TACA provides information, resources, and support to families affected by autism. For families who have just received the autism diagnosis, TACA aims to speed up the cycle time from the autism diagnosis to effective treatments. TACA helps to strengthen the autism community by connecting families and the professionals who can help them. If you’re the parent of a special-needs child, you’ll love this one. Studio Movie Grill offers screenings of movies with the lights turned up and the audio turned down. Kids with special needs and their siblings are free; others are $5. 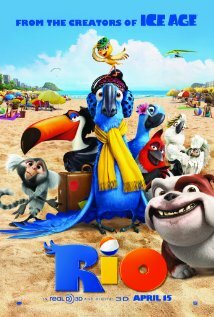 The next showing is Rio, rated G, on April 23rd at 11 am. Tickets are available only at the box office. For more information, visit www.studiomoviegrill.com.